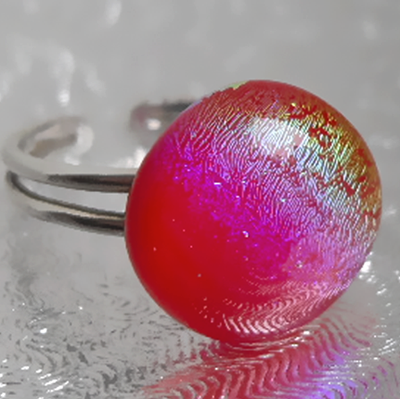 the rings come in lots of different sizes, styles, colours and textures. 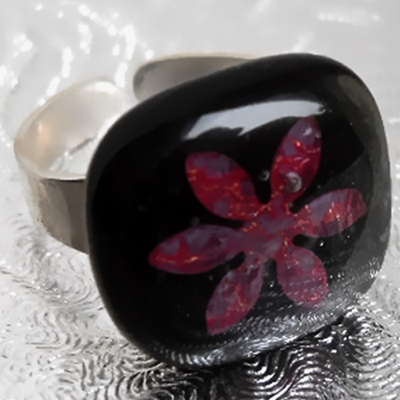 adjustable so will fit most finger sizes. 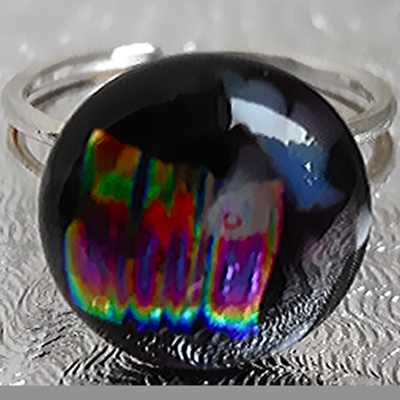 They come in good quality silver or black gift boxes. 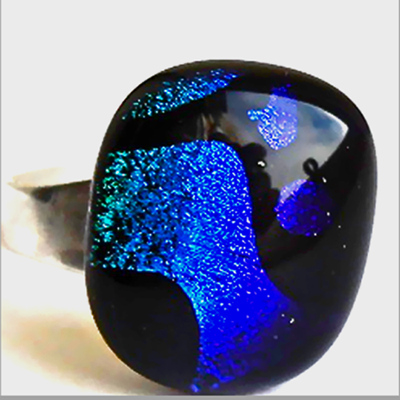 This large very striking Cobalt Blue Dichroic ring has a matching pendant, bracelet and earrings. 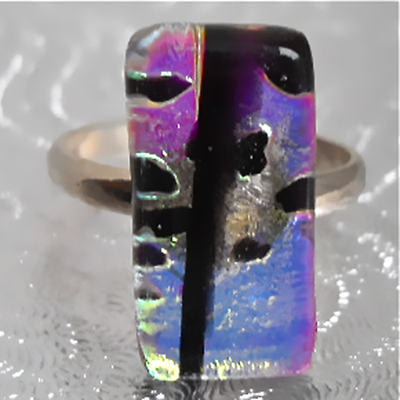 A delicate ring - Gold with Black and Lilac overtones. 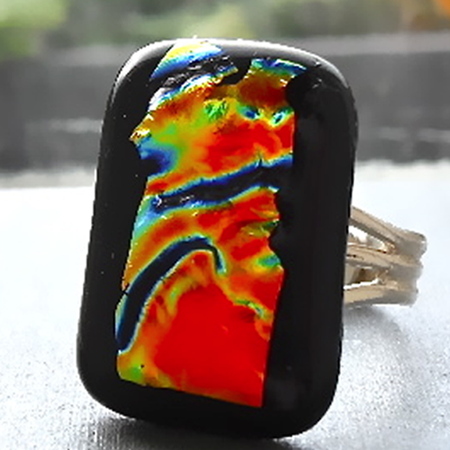 Has a matching pendant. 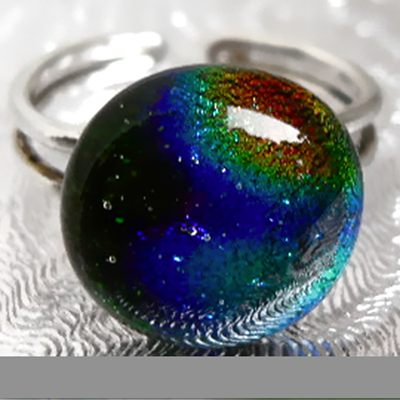 Sterling Silver fitting on round Green/Blue/Orange/ Dichroic glass ring. 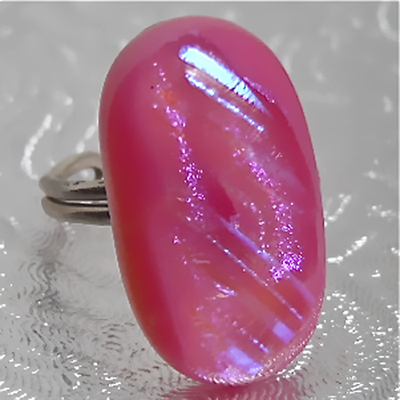 Beautiful large Pink ring with shimmery Blue/Purple Dichroic accent.It has a Sterling Silver fitting. 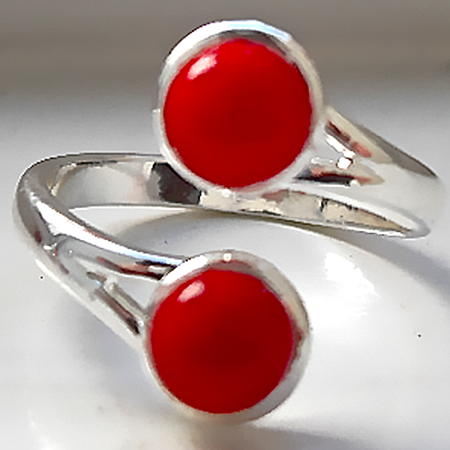 A new design silver plated ring with two pieces of bright Red fused glass. 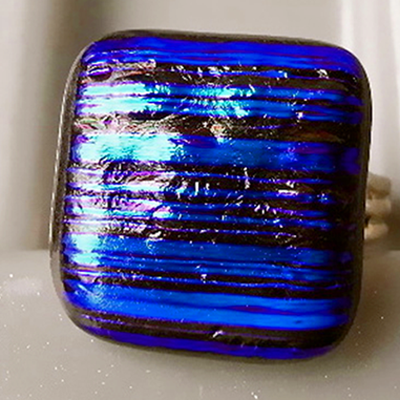 Very striking large ring. 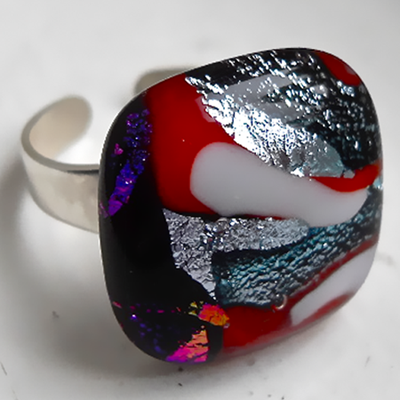 A lot of sparkly Silver Dichroic glass Silver with accents of Red, White and Purple. 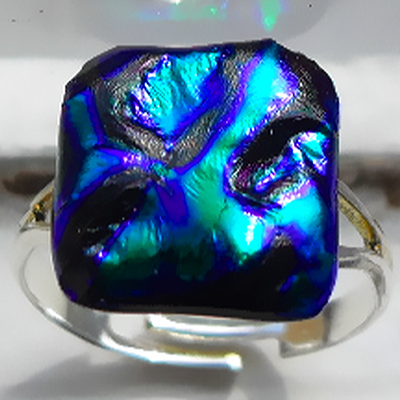 Dainty Blue/Turquoise/Teal Dichroic glass ring. 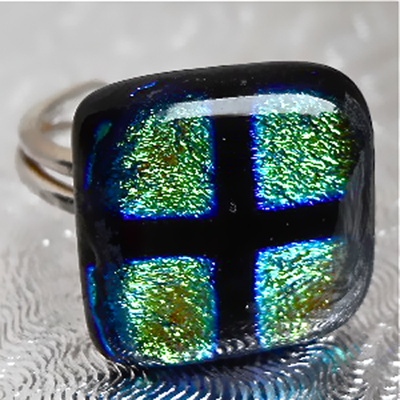 A small Purple/Green heavily textured Dichroic glass ring. 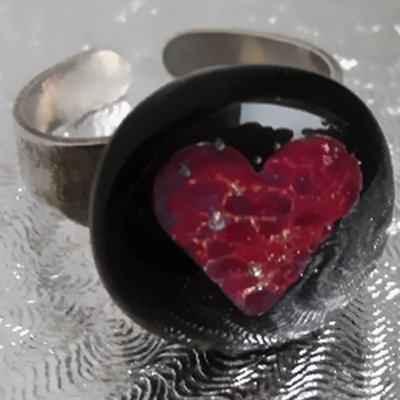 There is a matching pendant, bangle and bracelet. 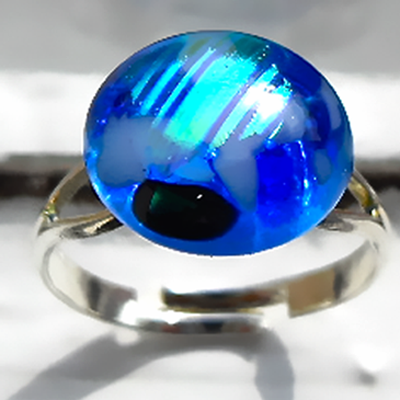 A very unusual ring. Triangular in shape. 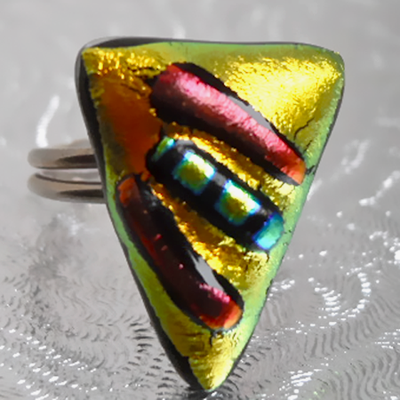 Yellow Gold Dichroic glass with three small accent strips. 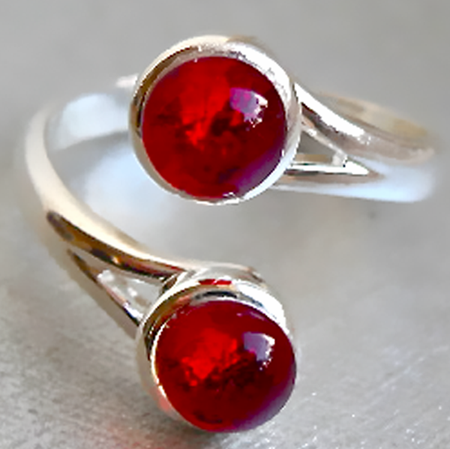 It has a Sterling Silver adjustable fitting.